Marik offers re-ribboning, repair, re-voicing and restoration services for many vintage ribbon microphones, including the RCA KU3/10001. The RCA Type KU-3A, also known as the “10001,” was a Cardioid ribbon microphone developed and built in Hollywood, CA for use in the motion picture industry. 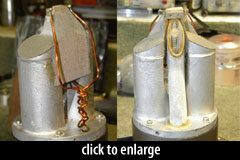 The microphones were reportedly hand-built and serviced by RCA’s west coast ribbon technician, Charles Gant. The Type KU-3A Unidirectional Microphones were designed to meet the exacting requirements for sound-film recording at motion-picture studios. These microphones provide uniform and smooth reproduction over a wide audio range (suitable for dialogue and music), and have the unidirectional pattern considered so desirable for sound-motion-picture applications. They exhibit a high sensitivity for sound originating in front. Rejection (cancellation) at the back is such as to provide a new low in output of unwanted signal. 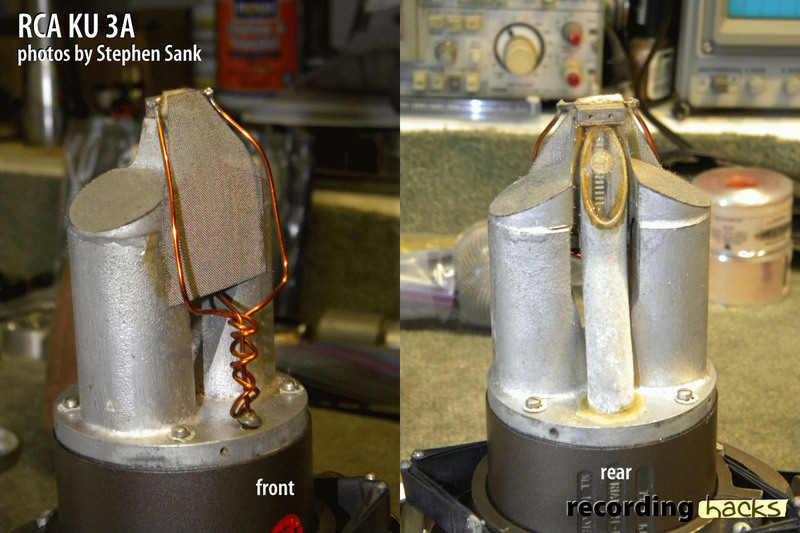 The microphone used a single-ribbon motor design, the rear of which was coupled to an acoustic labyrinth that delayed the arrival of sound waves at the rear of the ribbon. The resulting delay created a Cardioid pickup pattern. The labyrinth was filled with cow hair. RCA engineers reportedly tried numerous alternative materials, including wool, cotton, and foam, rejecting all for various reasons. The ribbon in the KU-3A was shorter than the 44 series: about 1.25'' long (according to Julian David, formerly of AEA), and 0.09'' (2.3mm) wide, according to Stephen Sank. The pickup angle may vary approximately ±50° from the zero axis with less than one dB difference in output. The output transformer had three taps, providing a choice of output impedances: 30Ω, 150Ω, 250Ω. The cable connector and yoke mount style appear to have varied with specific model; at least four lettered versions were available: 10001A, 10001B, 10001C, 10001D. The RCA KU-3A is also known as: 10001.